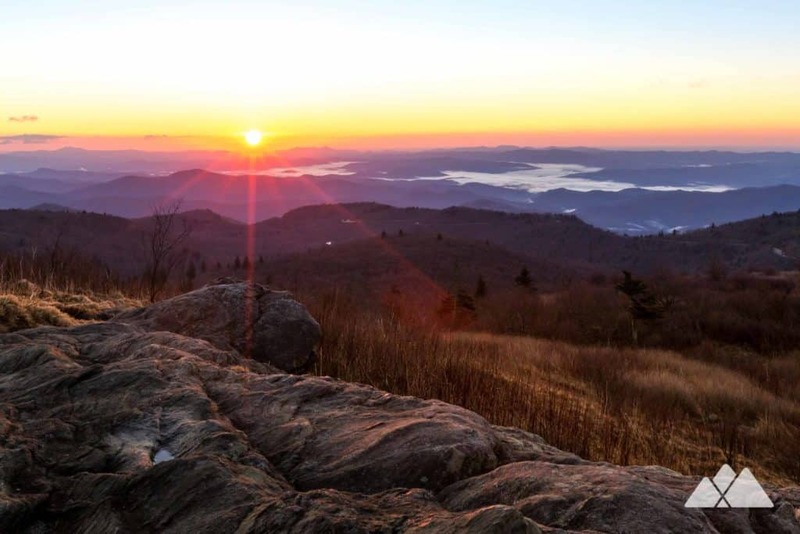 There’s just something magical about Asheville sunsets and sunrises. 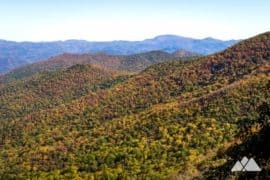 Hike our ten favorite trails to catch a colorful display from some of our favorite mountain summits in Western NC. 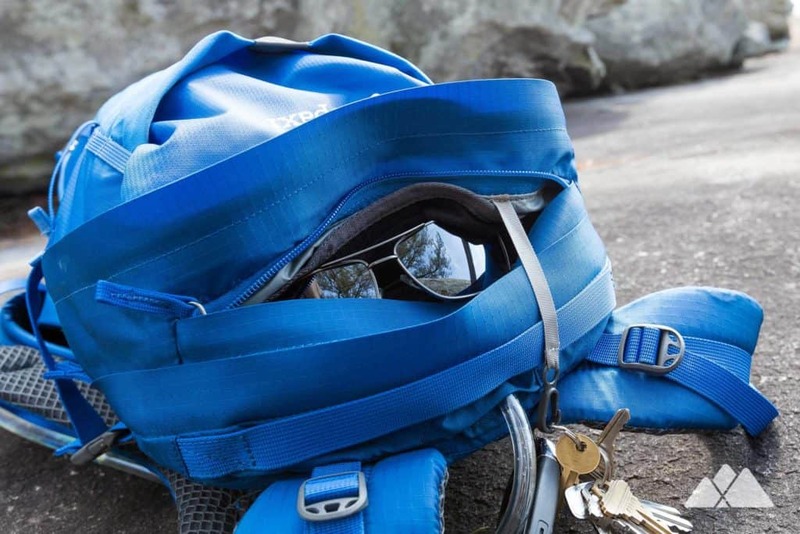 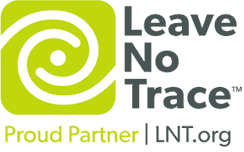 Be sure to pack hiking essentials (check out our hiking gear list for our trail-tested favorites) like water, extra layers, and a flashlight or headlamp to help navigate the trail in low pre-dawn and pre-dusk light. 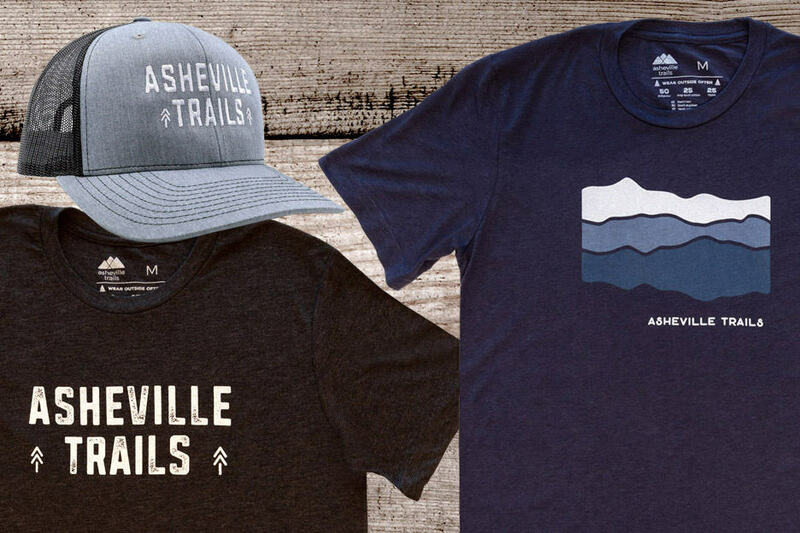 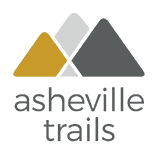 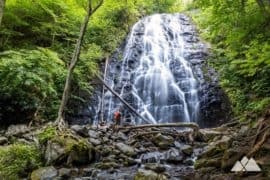 Our top 10 favorite trails explore some of the most beautiful mountain summits near Asheville and make the perfect spot to catch a colorful celestial show. 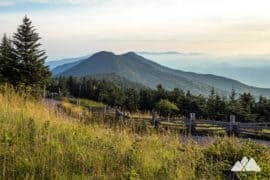 It’s one of the most popular destinations on the Appalachian Trail in the South, and for good reason. 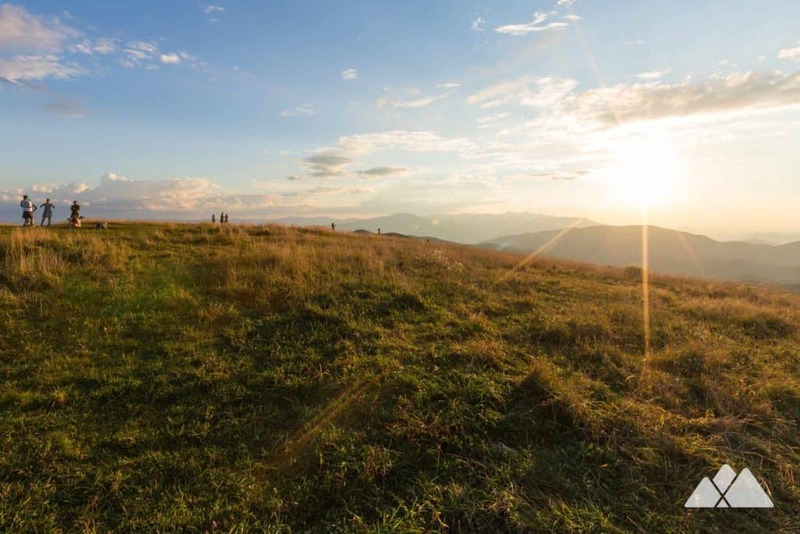 Climb to the rolling, grassy, wildflower-filled summit of Max Patch Mountain and grab amazing 360-degree views. 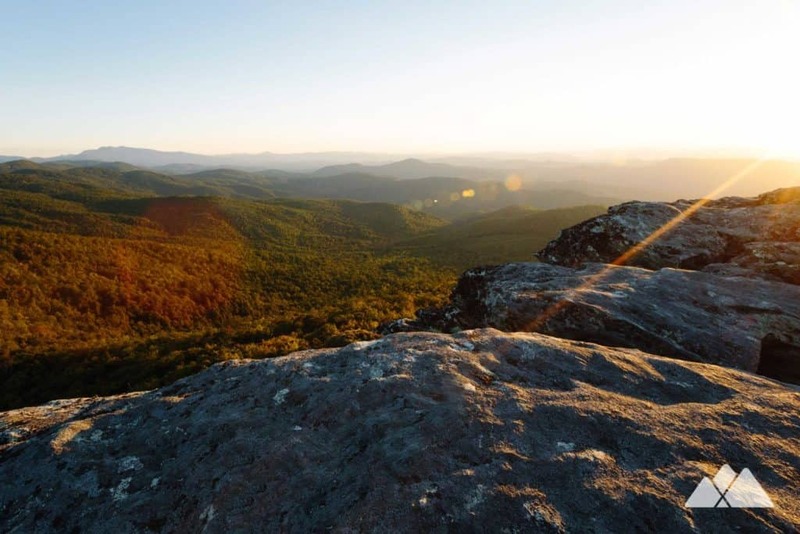 It’s one of our favorite places to lay out a picnic and lazily watch the sun sink behind the Blue Ridge Mountains. 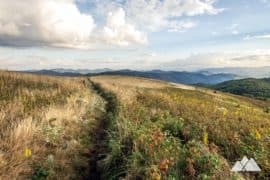 For a dose of serenity and a little more mileage, hike the alternate route to Max Patch from Lemon Gap. 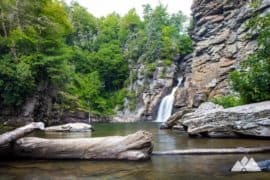 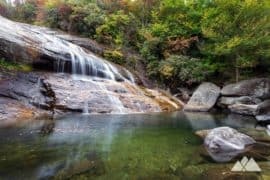 This lesser traveled stretch of the Appalachian Trail offers the opportunity for a bit more solitude and makes for a great overnight backpacking adventure. 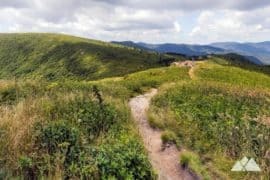 We’re absolutely in love with Roan Mountain’s outstanding views. 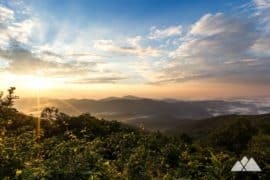 Its high-elevation expanses of rolling, golden grass in summer, and windswept frozen beauty in winter top our list for catching sunrise or sunset in any season. 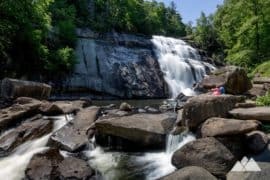 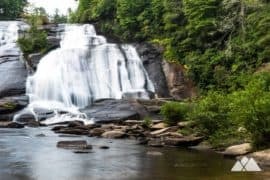 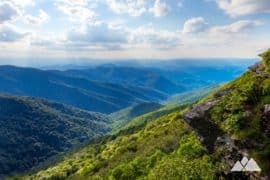 Hike this ultra-scenic section of the Appalachian Trail in North Carolina through grassy fields filled with wildflowers and wild blueberries to some of the most spectacular panoramic views in Western North Carolina. 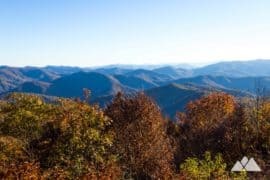 It’s the highest elevation summit on the East Coast and offers unparalleled, far-flung views of the Southern Appalachians in every direction. 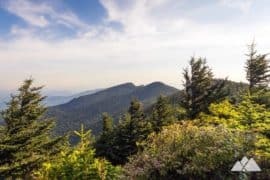 Follow Mitchell’s family-friendly Summit and Balsam Trail to stunning views from the large observation platform at the summit, and then dive through a lush spruce-fire forest with rocky terrain and high-altitude flora. 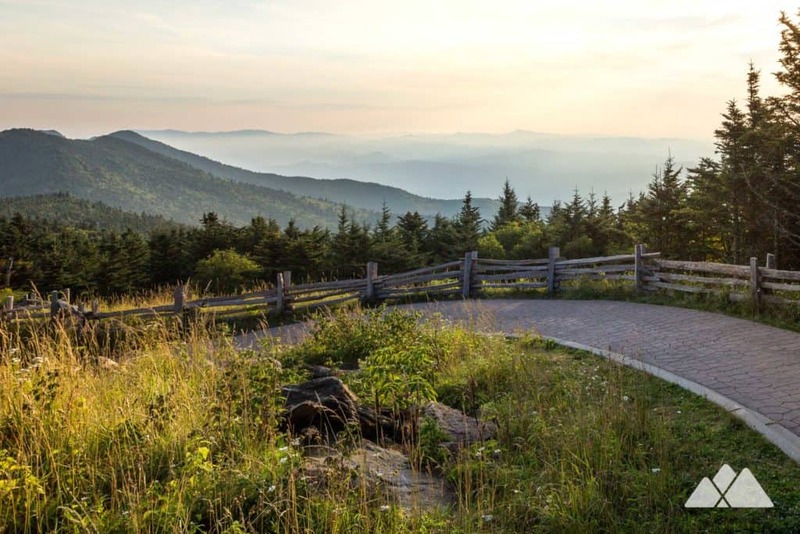 It’s an excellent summertime adventure: temperatures on Mt Mitchell can be 10-20 degrees lower than the surrounding valleys and nearby Asheville. 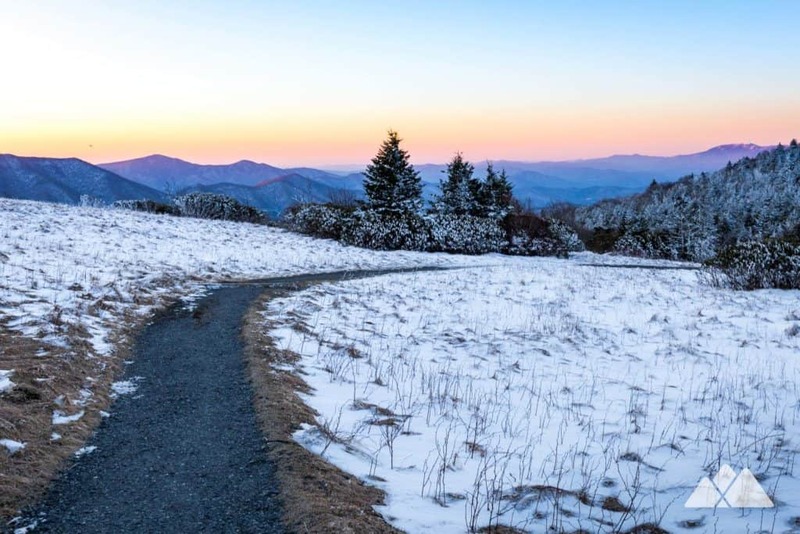 Hike the Art Loeb Trail to the summit of Black Balsam Knob just off the Blue Ridge Parkway for outstanding sunset views over the rolling mountains. 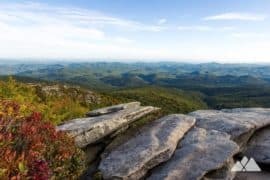 Black Balsam Knob offers plenty of rocky perches to sit and enjoy the sky slowly painted in hues of pink, purple, orange, and red. 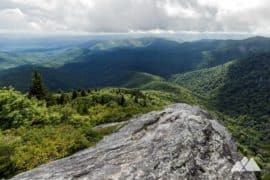 Extend this relatively short hike by continuing on the Art Loeb Trail from Black Balsam Knob to Tennent Mountain, or for an epic day hike make the gorgeous trek to Shining Rock Mountain and its brilliant white quartz outcrops. 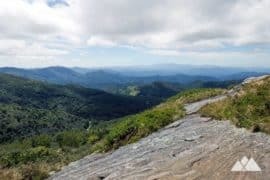 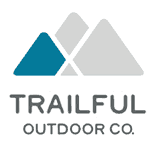 Climb the rocky, rugged Tanawha Trail to angular overlooks at the Rough Ridge summit and outstanding sunrise vistas. 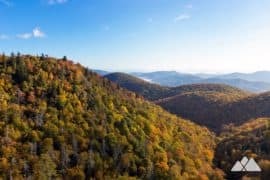 Catch stunning see-forever views over Grandfather Mountain and the Linn Cove Viaduct, and plan to spend a while soaking up the sunshine and the early morning beauty. 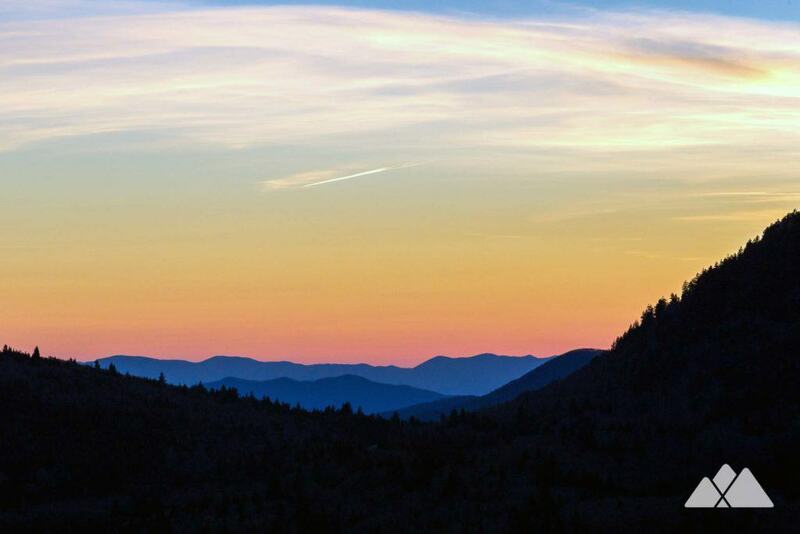 Score amazing views from the third tallest peak in the Smoky Mountains. 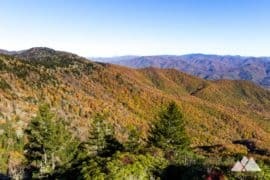 The Alum Cave Trail to Mt LeConte makes for an amazing overnight adventure, catching both sunrise and sunset from the open, expansive summit. 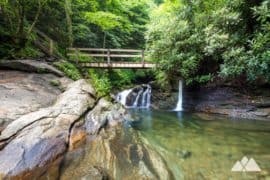 This hike explores some of the park’s most scenic terrain including Inspiration Point, the Alum Cave Bluffs, Arch Rock, and Gracie’s Pulpit. 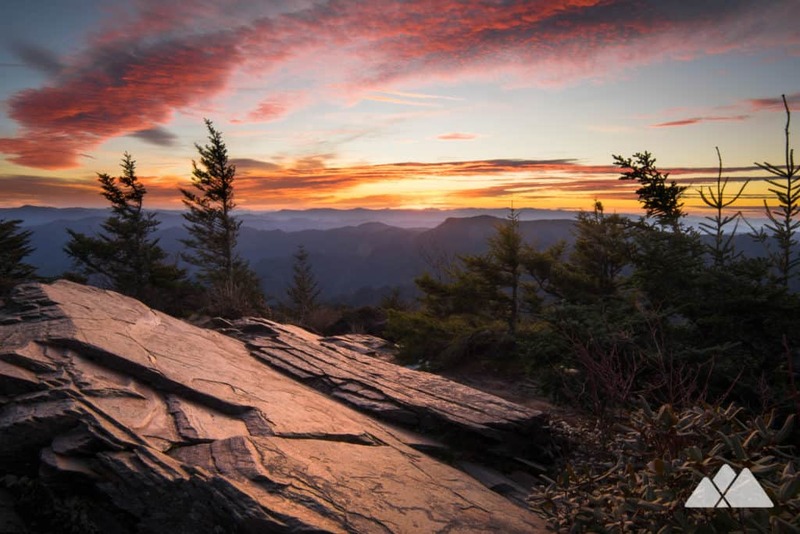 Hawksbill Mountain has long been one our top favorite adventures, with top-of-the-world views in every direction. 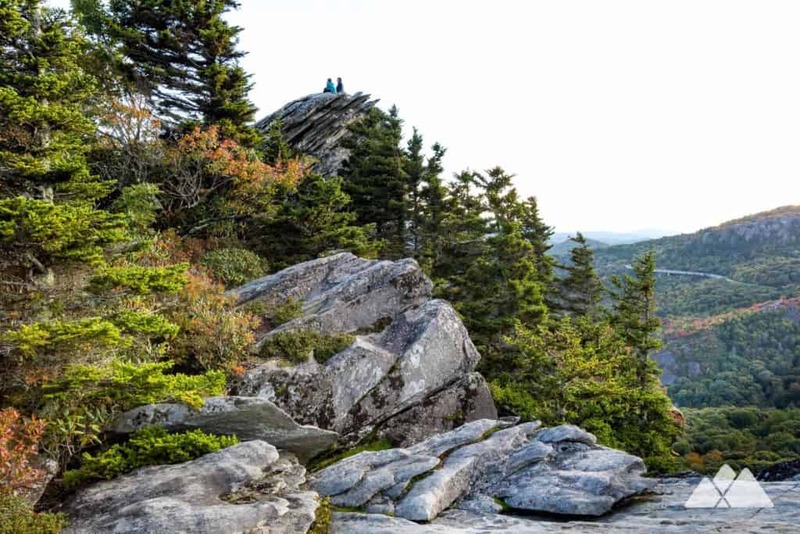 The rocky, rugged summit offers 360-degree, panoramic views and makes the ultimate spot to catch sunrise when exploring Linville Gorge. 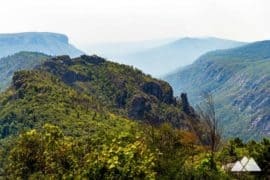 It may have an ominous sounding name, but the views are simply sublime and serene. 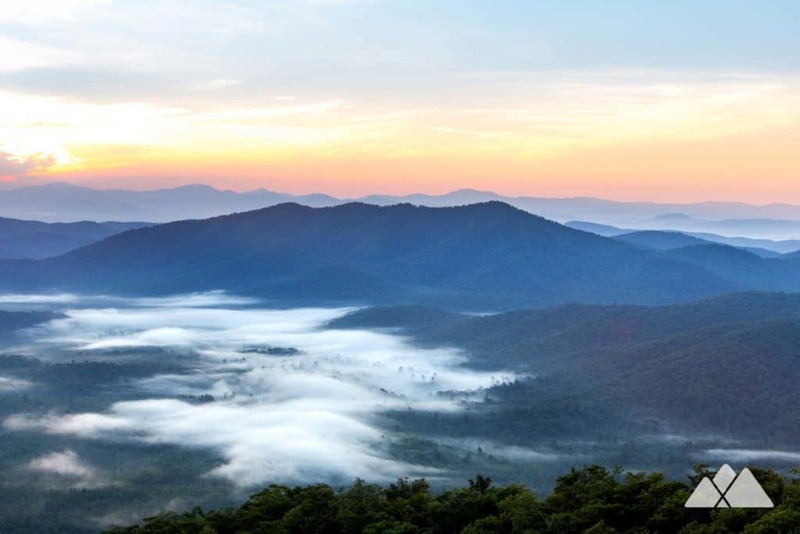 On a clear day, far-flung views of three states can be seen from the mountain’s summit. 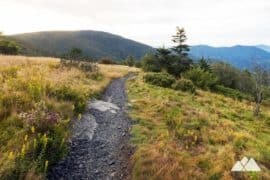 The short (but steep) Devil’s Courthouse Trail is one the most popular on the Blue Ridge Parkway, offering outstanding sunset views from its rocky precipice.